Leslie is thrilled to launch the premier of “The Musical Theatre Project “. 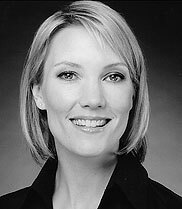 Originally from the USA, she moved to Sydney from New York City in 2000 leaving behind an extensive performing career spanning 9 Broadway musicals, and 5 National touring Broadway productions. She was last seen on Broadway in the Tony award winning musical Chicago where she played “Mona”. Other credits include Ragtime, Victor/Victoria, My Fair Lady, State Fair, Steel Pier, A Funny Thing Happened on the Way to the Forum, Ain’t Broadway Grand and My Favorite Year . She also toured with Crazy for You and Jerome Robbins’ Broadway. She has had the privilege of working for many award-winning choreographers including Susan Stroman, Rob Marshall, Randy Skinner, Ann Reinking and Jerome Robbins. Since moving to Sydney, she has been working in film and television, and as a voice over artist for American advertisements. She teaches Musical Theatre Jazz at Sydney Dance Company Open Class Program and for the full time performing arts course at ed5 International. She has recently begun choreographing for theatre, corporate and charitable events. It is with great pleasure and excitement that William is working with Leslie Bell and THE MUSICAL THEATRE PROJECT, William’s vast array of work covers Theatre, Concerts and Television. William has choreographed They’re Playing Our Song for the Ensemble Theatre starring Georgie Parker & Simon Bourke and Derrinda in Love starring Jacki Weaver. This was followed by Sir Cliff Richard’s World tour which opened at Wembley Arena in London. Television high lights include, The Helpmann Awards & the Logie Awards, he was Co- Director on Australian Idol Tours 2004 & 2005. William has been artistic director of the NRL Grand Final for 5 years staging such stars as Hugh Jackman, Caroline O’Connor Meatloaf, Kelly Clarkson Jimmy Barnes & Marcia Hines. In 2005 he staged Sir Cliff Richard’s Concert Series at the Royal Albert Hall & Edinburgh Castle. William Choreographed two major segments of The Closing Ceremony of the Sydney 2000 Olympics – broadcast to a worldwide audience of billions. Other major credits include chorography for Kylie Minogues segment of the Sydney Paralympics Games Opening Ceremony and Kylie’s “Intimate and Live World Tour” which received international acclaim. The list continues with the Launch of Fox Studios in Australia starring Marcia Hines, Tina Arena, Hugh Jackman and Kylie Minogue. : The Centenary of Federation – A Capital. Celebration in Canberra: The Mushroom Concert of the Century at the MCG: And the Tour of Duty In Dilli, East Timor starring Kylie Minogue & John Farnham. Recently William has returned from Hong Kong where he created a 20 minute piece for the Hong Kong Performing Arts College. William’s newest permanent venture came in 2006 when he became part owner of ED5International Performing Arts College where he resides as Principal and Artistic Director. ED5International’s Full-time course was established seven years ago by Elena and Mario De Cinque (Directors/Principals) and recently saw the addition of world re-known choreographer/director William A Forsythe as co-owner and Artistic Director. ED5International offers two full time government accredited courses in Performing Arts, Certificate IV (Dance Major) & Certificate IV (Vocal Major) boasting many of Australia’s elite performers and teachers as their permanent faculty. Both courses are designed to create well rounded Singers, Singer/Dancers, Dancers and Dancer/Singers in preparation for work in Musical, Theatre, Stage, Television, Cruise Ships, Cabaret Commercial Dance and many other areas of the Entertainment Industry. A large majority of graduates place with Australia’s leading theatrical agents and recent graduates have been seen in The Lion King, Mama Mia, Dusty-The Musical, Disney Tokyo, Universal Studios Japan, Moulin Rouge (Paris), numerous Cruise Lines around the world, Television Commercials, Music Videos, International Tours and much more. Matt recieved the Charles Wall scholarship to study at the Royal Ballet School, London. 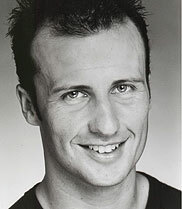 In 1991 Matt joined the Royal Ballet, Covent Garden and joined The Australian Ballet in 1994 where he was promoted to Principal Artist at the Olympic Arts Festival in 2000. Matt has performed Principal roles in the classical repertoire & contemporary works by Sir Kenneth Macmillan, William Forsythe, Nacho Duato, Jiri Kylian, George Balanchine, Jerome Robbins, Glen Tetley, Stanton Welch, Meryl Tankard & Graeme Murphy. In 1999 he travelled to New York to create The Storyteller with Twyla Tharp & in 2000 trained with American Ballet Theatre, New York City Ballet and Dutch National Ballet. For the Melbourne International Festival and the Olympic Arts Festival he partnered Sylvie Guillem. He was nominated for “Best Male Dancer” for Mo & Greenroom Awards 1998 & 1999. For ABC television he has recorded Wild Swans, Beyond 40, Divergence, Le Concours, Manon, The Deep End, The Edge of Night, Behind the Scenes & Wild Swans documentaries. In 2005 he appeared with Chloe Dallimore in Light The Night Benefit & continued studies at Broadway Dance Centre & Steps on Broadway. Matt made his musical theatre debut in the 2006 Productions Company’s Thoroughly Modern Millie and in 2007 performed in Fiddler On The Roof and is cast in the upcoming Australian production of Billy Elliot. For the past three years Matt has been a ‘Guest Artist’ with Opera Australia in Die Fledermaus, Lakme, Gondoliers & Turandot and been on the teaching faculty of Bangarra Dance Theatre, Urban Dance Centre, Newtown Performing Arts High School and Alegria. Behind the scenes he has been the ‘Artist Laison’ for Sydney Festival for “Shen Wei Dance Arts” “Batsheva Dance Co” and “Sylvie Guillem & George Piper Dances”. 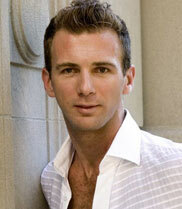 Craig Haines holds a Bachelor of Arts (Dance Major) and has travelled the world as a Singer and as a Dancer. 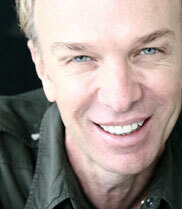 Some of Craig’s credits include Film: Moulin Rouge and Paradise Road. Television: Logie Awards, Kerrie Ann, The Footy Show, MTV Asia/Europe. Special Events: Opening Fox Studios-Kylie Minogue / Tina Arena, Opening & Closing Ceremony of 2000 Olympics – Kylie Minogue, Closing Ceremony 1996 Olympics Atlanta. Concerts: Cliff Richards World Tours 2004 & 2006/2007, Bee Gees. Musical Theatre credits include Saturday Night Fever, Pirates of Penzance and Peter Pan. Commercial Dance: Danni Minogue, Vanessa Amorossi, Marcia Hines, Human Nature, Christine Anu, Deni Hines. Overseas Contracts: Opening Cast Universal Studios Japan, Resident Choreographer - Millennium Entertainment International, as well as Conventions and Club Gigs too numerous to mention. After five years living and working in London Craig has recently returned to Australia to work with William A Forsythe at ED5International.